Afterwards, Parson said Saturday’s rally marked his first solo political appearance since taking office June 1. He expects to do more after the Aug. 7 primary. Possibly with the primary in mind, Parson did not mention any of the Republican Senate candidates. But a huge banner behind him touted the best-known one, Missouri Attorney General Josh Hawley. Missouri Gov. 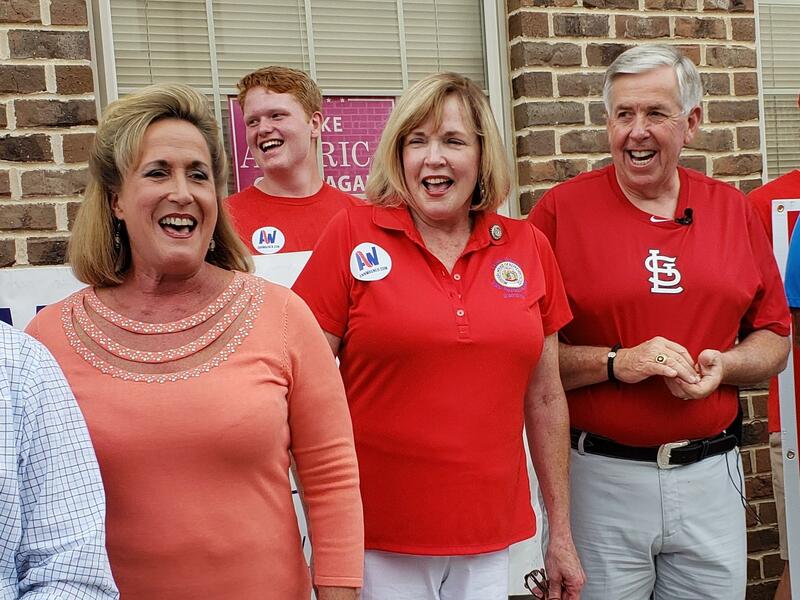 Mike Parson, right, laughs along with U.S. Rep. Ann Wagner, in orange, and other supporters during a Republican rally Saturday in south St. Louis County. Saturday’s event was part of the national GOP's National Week of Action, aimed at reving up the Republican base. 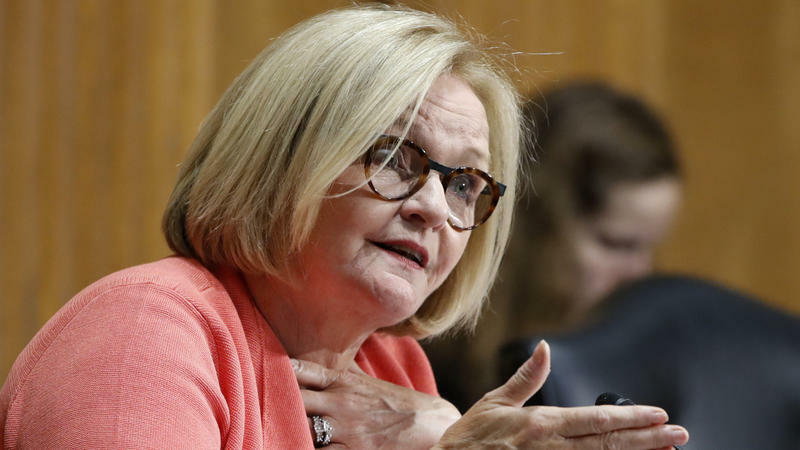 U.S. Rep. Ann Wagner of Ballwin, a Republican, was among the speakers joining Parson who discounted any talk of a Democratic “blue wave’’ in November. Parson told the crowd that ousting McCaskill, a Democrat, was crucial. “If we lose that seat, it will be one of the worst setbacks in our state’s history,” he said. In an interview, Parson emphasized that his aim is to help Trump in any way possible. Parson told the audience at the rally that there’s no doubt of the national GOP commitment to Missouri. He said Trump and Vice President Mike Pence have more stops in Missouri since taking office than any previous presidential ticket in the state’s history. After Saturday’s rally, Parson traveled downtown to toss the first pitch at the afternoon’s Cardinals’ game.